Rust dyes react well to natural fibres. It seemed like a natural progression of ideas to combine the two organic processes…. they are inevitable, unstoppable and irreversible . So combining these two should produce some interesting results? I felted simple bowls using pure white merino and natural BFL. kept in place with crepe bandage and soaked with a water/vinegar solution. pierced through the felt, and rusted washers sewn onto the surface. the wetting agent and help accelerate the rusting process. I also wanted to repeat the previous fabric dyeing experiments using felt. stitching, wrapping and pleating the felt around the pieces…. Some pieces were easier to unwrap than others! rusted and were impossible to undo…. 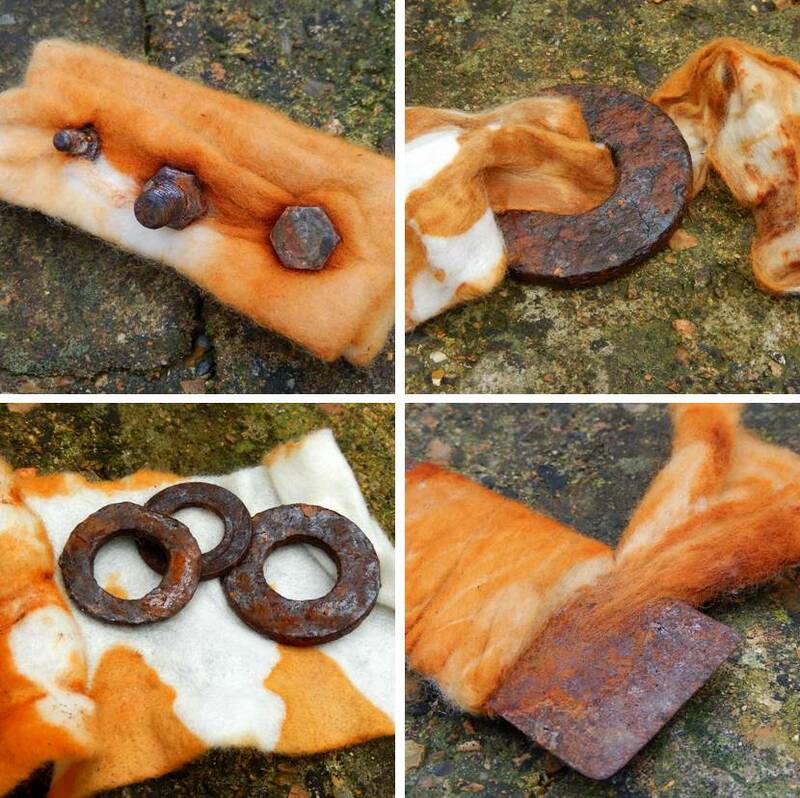 had actually ‘felted’ into the rusting metal. Fused together the metal + fibre were almost impossible to prise apart! to the previous woven fabric experiments—as might be expected! stone defences and eating away metal stairs and handrails! were bought back to the Bay to photograph…. from the wire wool in a couple of days. to develop over a couple of weeks, but the dramatic effect was worth the wait!